I am sure by now most will be aware of the sad death of Kieran Doherty. 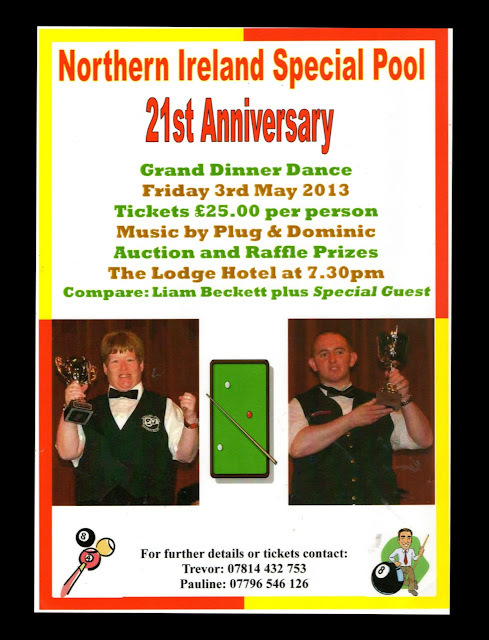 Kieran as you all will know was a part of the funriture when it came to NI Special Pool. He was involved from its conception in 1993 and 2017 was the first festival he never officiated at, 24 years of dedication for which he never sought thanks, payment or glory. I think in anyones book that is something to be admired. Most players and carers would have associated Kieran with his refereeing duties but it was the work he put in before a player even arrived at the event that should never be forgotten. If it had not been for Keiran, sometimes working into the early hours of the morning, hanging canopies and doing numerous other things some festivals would never have happened. To most it came as a shock that Kieran was not in the Lodge Hotel in November past but his death was much more of a shock and I know part of the Festival will have gone with Kierans passing. Kieran's funeral will take place on Thursday 10th May from Murdocks Funeral Home, 2A Windsor Avenue at 12.00noon. Its is family flowers only but donations can be paid to the Musgrave Pary Spinal Unit, c/o Mrs Mona Murdock, 31 Bushmills Rd, Coleraine. 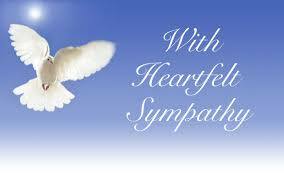 On behalf of the NISPA I would like to pass on our sincere condolences to Sadie and his family circle. There will be Team events ands Individual events. Thanks go to Angela Butler for bringing over the England teams and to the Q.Club in Larne for hosting the event. 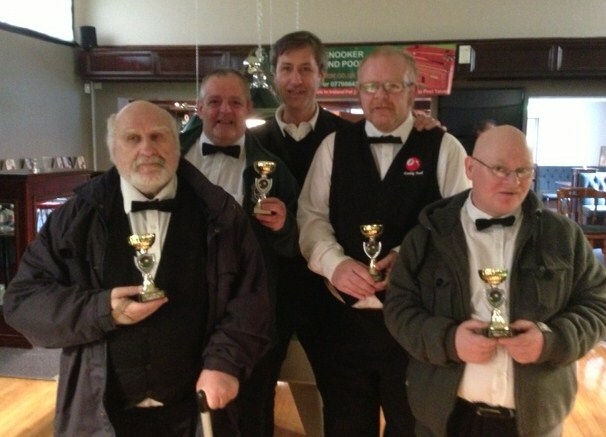 The 2016 NI "MR CHIPS" FESTIVAL OF SPECIAL POOL was another great success as a large field battled it out on the green baize for the titles on offer. The event was held in the Lodge Hotel, Coleraine find below the roll of honours. 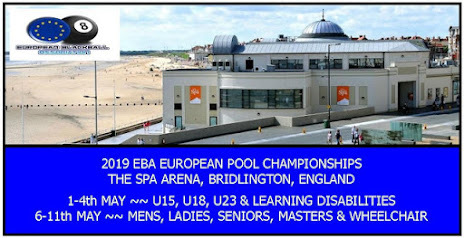 If anyone would like to offer their services as a volunteer referee on either the Wednesday or Thursday it would be much appreciated, just a basic knowledge of the Blackball rules is required. Anyone travelling a considerable distance will be offered a nights accommodation in a shared twin room, one free meal each day and a small payment. The 2014 N.Ireland Mr Chips Special Festival of Pool commences on Friday 14th November in the Lodge hotel, Coleraine, with play continued on the Tuesday 18th November through to Wednesday 19th. The festival is now in its 22nd year, which is once again supported by Coleraine Borough Council. This event gives people with learning difficulties, mental health problems and physical disabilities the opportunity to compete both for National and International titles. Played in the luxurious Lodge Hotel, Coleraine, on 21 specially installed Supreme Pool tables from Baizecraft, Lisburn. The 2014 festival is sure to be the highlight of the year for all the pool players from Special Schools and Day Care facilities in Northern Ireland. On Friday 14th the All Abilities Individuals will be decided. This category caters for players with mental health problems and physical disabilities. Wheelchair player Rab McMaw from Ballynure will be the player to beat as he tries to secure his ninth N.Ireland title but a surprise winner could come from anyone representing the Armour, Ballymoney or our newly joined Pavestone Centre from Coleraine. Junior players from various schools across Northern Ireland take centre stage on Tuesday when they compete for the N.Ireland Team championship. Local school Sandleford, will be determined that one of their three teams will be triumphant but they will be pushed all the way by teams from Hillcroft Special School from Newtownabbey or Carrick Junior Gateway Club. Tuesday also sees the start of the senior events with 3 team titles being played for. 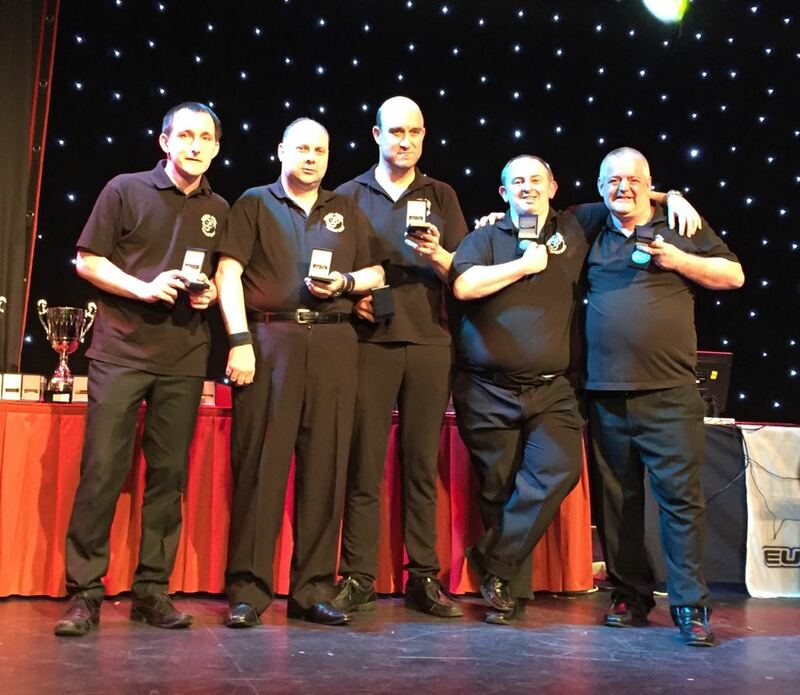 The Men’s team event is once again guaranteed to be hotly contested but last years' winners Rathmoyle from Ballycastle, will not concede the crown easily. Their most likely challenge should come from ASL Bangor. In the Ladies event local centre Mountfern will be trying to wrestle the title from the ladies of Maghera, last year’s champions. The winner of the very popular Social team event could come from any of the twenty two entered teams. Muckamore Abbey from Antrim are sure to be in the hunt for this title but strong challenges can be expected to come from the Bayview Centre from Bangor, Belfast’s Conlig, and Cookstown Gateway Club. On Wednesday evening members of the NIPA Ladies international team who will just have retuned from International duty in Perth, Scotland pair up with the players to compete in an entertaining doubles competition. 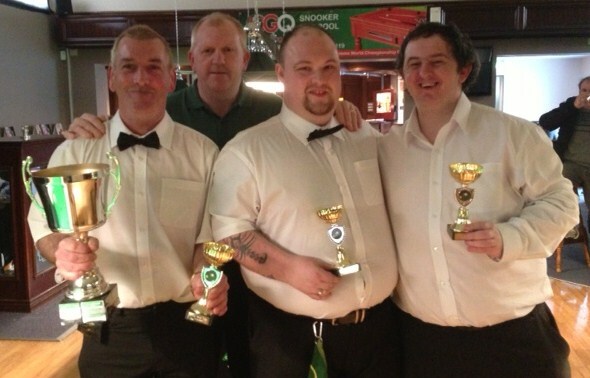 The three individual championships for Men, Ladies and Socials are played on Thursday. Defending men’s champion Sammy Johnston from Larne will have to be at his best if he is going to achieve his success of last year. However the main challenge will come from multiply European champion Paddy Reid. In the ladies individuals Francis McCann, the defending champion will start the ladies event as favourite but she will be pushed all the way by her International team mates Susan O’Kane and Valerie Taggart. The social individuals will be a much more open contest with anyone of the 70 entrants capable of winning it. The 2013 winner local player Johnny Fulton from Mountfern, Coleraine will have his work cut out if he is to repeat last year’s victory. The Chairman of the Northern Ireland Special Pool Committee, Mr Mervyn Taggart expressed his delight with the level off entries which he said spoke volumes for the reputation and organisation of the festival. On behalf of all the players he thanked the festivals main sponsor, Mr Clem Howard of Mr Chips, Portrush, Coleraine Borough Council and the Lodge Hotel for their invaluable support of the event. He also expressed his gratitude to all table sponsors and to the local volunteers who referee on a daily basis. To recognise this fantastic landmark, NISP will be holding a Grand Dinner Dance on 3rd May. See poster below for details. Everyone is welcome to attend, please come along and support the Specials to celebrate their love affair with the 8 ball game. 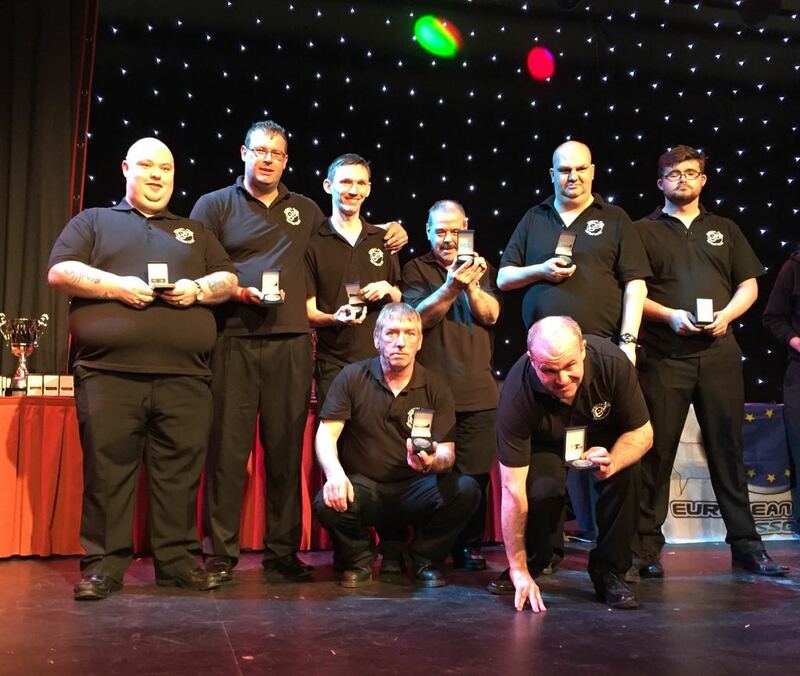 The presentation ceremony at this years Mr Chips Festival displayed the growth of talent of Special Needs players from throughout N.Ireland with the winners stretching from Londonderry to Portadown. In his opening remarks Mr James Burnside, chairman of N.Ireland Special Pool, stated that despite serious cutbacks within the various Health Trusts the number of competitors at this year’s festival had continued to grow. He thanked Mr Clem Howard of Mr Chips for continuing his roll as the lead sponsor for the event and also highlighted his further support for the 2013 event, a gesture which was very much appreciated by all involved. He also expressed his gratitude to Coleraine Borough Council for their continuing financial assistance as well as thanking all the staff of the Lodge Hotel for their kindness to everyone involved during the event. Councillor Hickey, on behalf of the council, in her remarks stated her delight that this prestigious event was held in Coleraine on an annual basis and that she could see from the faces of all the players that they had enjoyed the four days of competition. Leading the way on the presentation list was current N.Ireland international player John Brown from Belfast who lifted the much sought after N.Ireland Men’s Individual title. 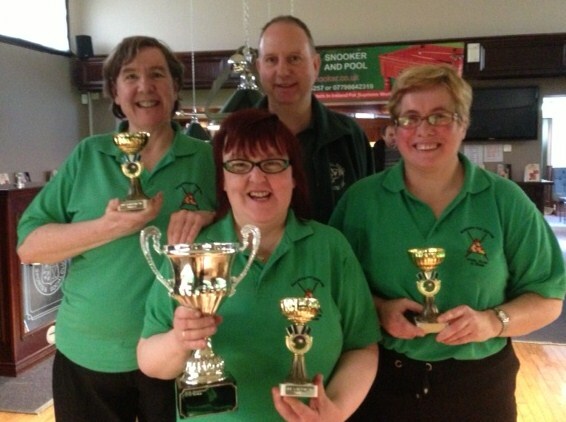 The equally prestigious Ladies Individuals was won by the current European Champion, Francis McCann of Maghera. 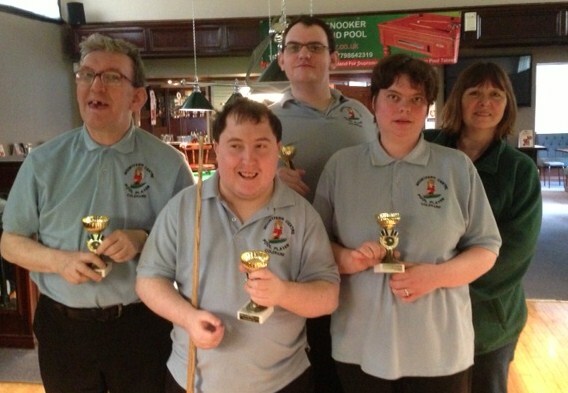 The Social Individuals which is for players of lesser ability went to Crawford Chambers of North Belfast Community Day services. In the team events the social title was won by Muckamore Abbey from Antrim, the ladies event went to Maghera and Millbrook from Ballymoney lifted the men’s event. The junior team event and individuals, which are limited to entries from special schools throughout N.Ireland, were nominated by local school Sandleford with Liam O’Hara winning the individuals after a thrilling final against his stable mate David Devine. 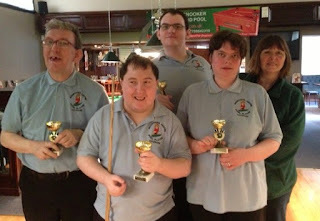 The A team from Sandleford won the team event defeating their B team in the final. Other local winners included the ladies team from Mountfern who lifted the ladies team plate event, Valeria Taggart who won the ladies individual speed pool as well as the team speed pool with her partner Ryan Hynds. Bringing the ceremony and the festival to a close Mr Trevor Harte, event organiser, expressed his gratitude to the numerous local business’s who made the event possible through their participation in the table sponsorship scheme as well as the local pool players for their referring services over the four days.